Want to enjoy Google's multi-million-strong library of public domain books but don't fancy investing in an ebook reader? Today, Google announced that over two million titles in its virtual catalogue will be available for on-demand printing using the Espresso Book Machines (EBMs) found in around a dozen locations worldwide. That's in addition to the 1.6 million titles already available for the 'ATM of books' as part of the EspressNet network. Jason Epstein, chairman and co-founder of ODB, the company that makes the Espresso, said: "With the Google inventory, the EBM will make it possible for readers everywhere to have access to millions of digital titles in multiple languages, including rare and out of print public domain titles." 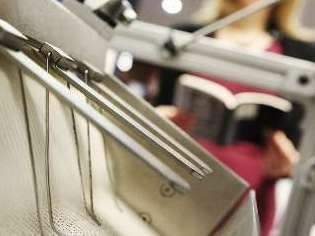 The Espresso Book Machine is basically a $75,000 (£46,000) super-photocopier; a high-speed automated book-making machine. In a few minutes, it can print, bind and trim a single-copy library-quality paperback book complete with a full-color paperback cover. Blackwell Bookshop on Charing Cross Road in London has one of the UK's few EBMs, and charges a set fee of £10 per book, plus 2 pence per page.